Free storage on any project that will be packed within 1 year of receipt of material. Fees will apply on items stored without a crating purchase order. Brand Export Packing is ISPM 15 certified. Our team members are experts in international export requirements. 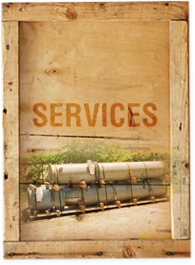 Our facility maintains all required documentation and is inspected monthly to keep our registered ISPM 15 mark current. The following link to the United States Department of Agriculture website will answer questions about the requirements of ISPM 15.